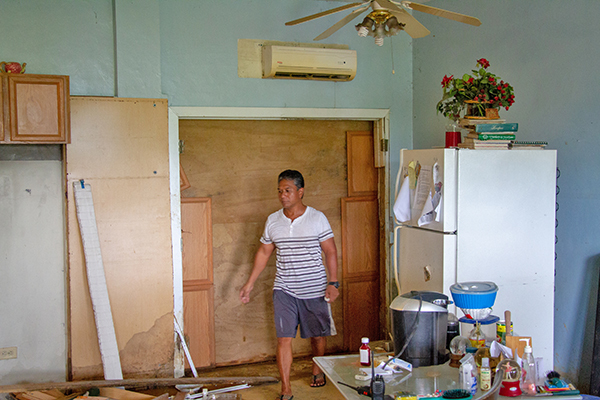 U, Pohnpei—As the torrential rains that caused flooding and multiple landslides continued to fall on Pohnpei in March, Susan and Rickson Kihleng and their five children decided it would be safest to evacuate their home. On March 17, neighbors gave them the news that the large mango tree behind their house had uprooted and brought the entire hillside crashing into the back of their home. The landslide blew out the double French doors before burying their kitchen and living room in deep mud. It broke windows and finally settled against the house to a depth of approximately six feet. 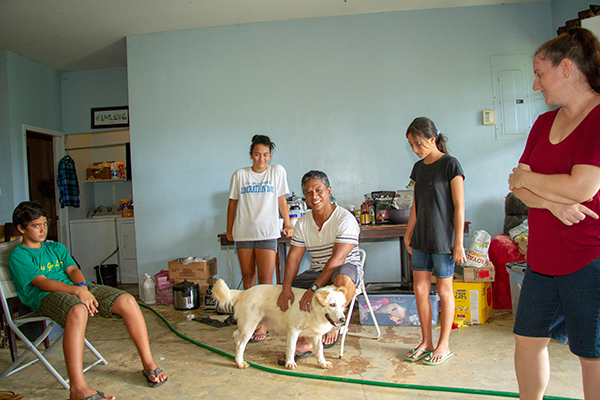 When the rains subsided, they had a massive mess to clean up and a home that they weren’t sure was safe to occupy. Since then, they have been cooking and washing dishes on their front porch and living in combined sleeping quarters. Every time it rains, the water comes straight down the hillside and into their home. While the Kihlengs, who are pastors at Ambassador Church in U that they planted 15 years ago, have lost many of their possessions, they have their lives, they have each other, and they have their faith. As of today, they have some good news as well. Several contractors have looked at the work that needs to be done at their home. One contractor gave a quick quote that was in the low six figures. Some have said that their home was a total loss. Others said that their earth moving equipment was too big to access the hillside. Others never showed. But yesterday one person said that they he has access to smaller sized equipment and can do the job. He is set to begin doing it as early as today. It’s a ray of hope the Kihlengs haven’t had for a long while. The Kihlengs have received a lot of help from their friends, neighbors, and church members who have helped them to dig out as much as it is possible to do by hand. As of last weekend, community volunteers were able to dig down to the level of the water pipes that had broken during the land slide. The Kihlengs now have running water after weeks without. Volunteers also dug a temporary drainage ditch that will at least partially alleviate the problem of the house flooding every time it rains. They’ve also had a bit of help from outside the FSM. 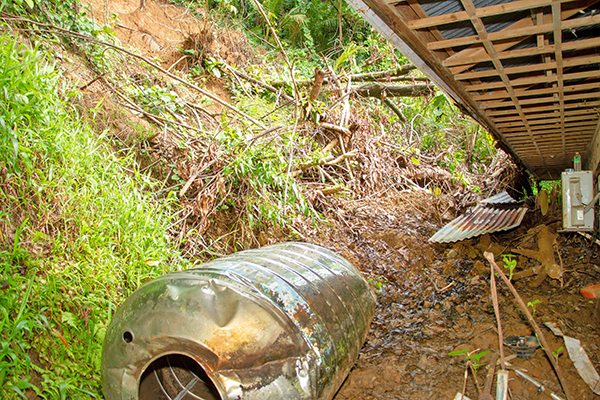 A contractor who once employed Rickson in the United States came to Pohnpei to evaluate and help the Kihlengs understand exactly what would be needed. Susan said that he will be leaving a detailed plan of everything that will need to be done. He coordinated the volunteers who dug out and repaired the Kihleng’s broken water pipe and dug the temporary drainage ditch. Susan said that they have at least enough money to get started and will go from there. She said that the Kihleng family is grateful that the Pohnpei State government has begun the process for possible disaster assistance based on the State and National disaster declarations. That paperwork has been filed but at press time, they hadn’t yet heard anything.